With temperatures in the 80s all week, it feels like May here… not mid-March! Everything is greening up and growing before our eyes! It really makes getting out in the field enjoyable. 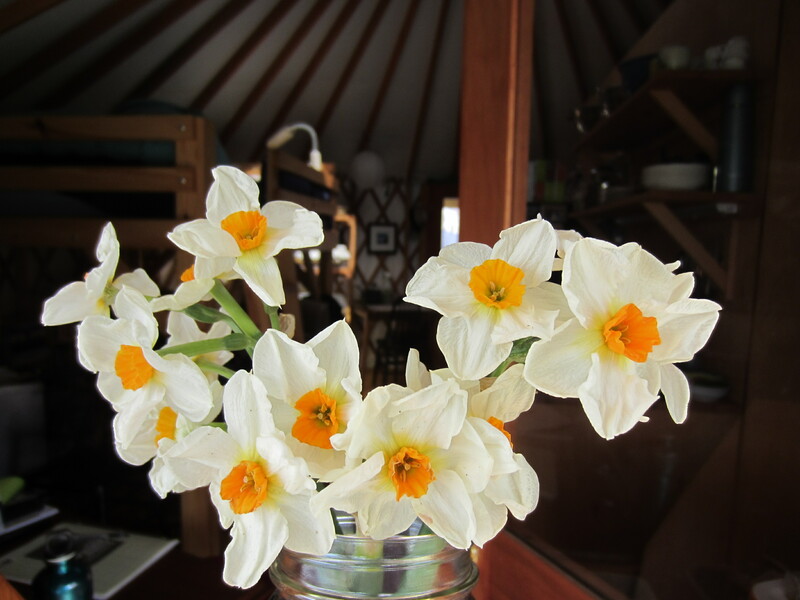 Last week we had the first blooms from some of the bulbs I planting last fall. 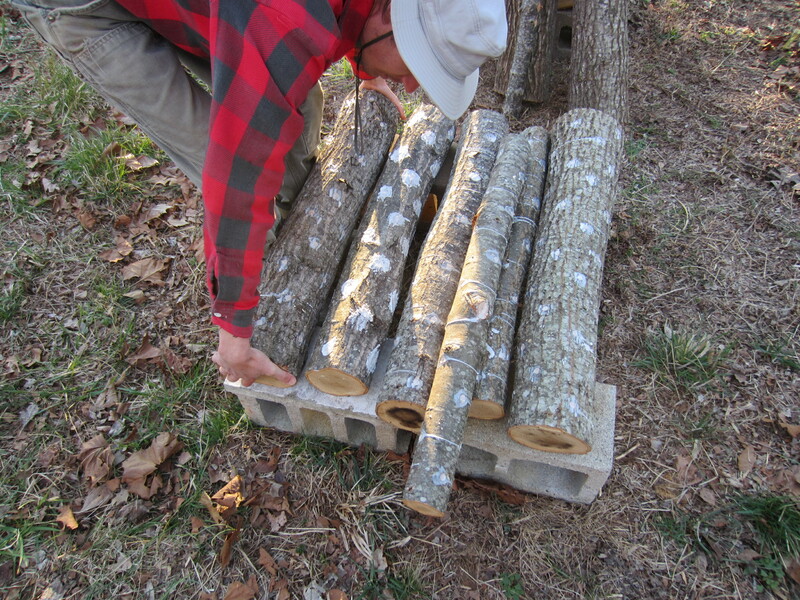 Inoculating the oak logs with shiitake spawn turned into a bigger project than expected. We only managed to finish 6 logs the first day (in about 3 hours), and 16 the next day (same amount of time). It would help if we had a better setup, which would include a hot plate for heating the wax. Instead I had to run into the house after every few logs to heat up the wax: not very efficient. But we are learning. 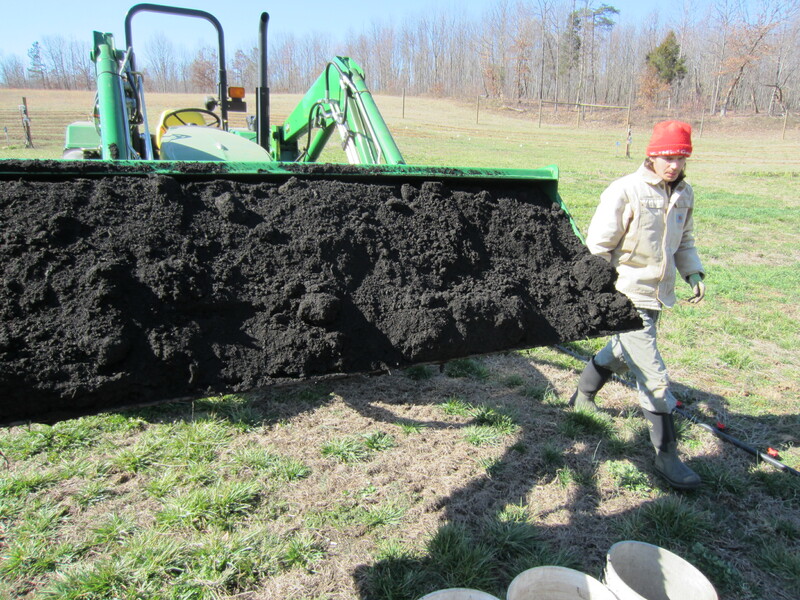 We have finished a major amount of composting and tillage, since it has thankfully been so dry out! We bring the compost in with the tractor bucket and then scoop it out into small buckets, then carry the buckets down the row and dump them. Carrying heavy buckets is my least favorite job but we have looked into getting implements for this and nothing seems like a good fit for the scale of our operation. 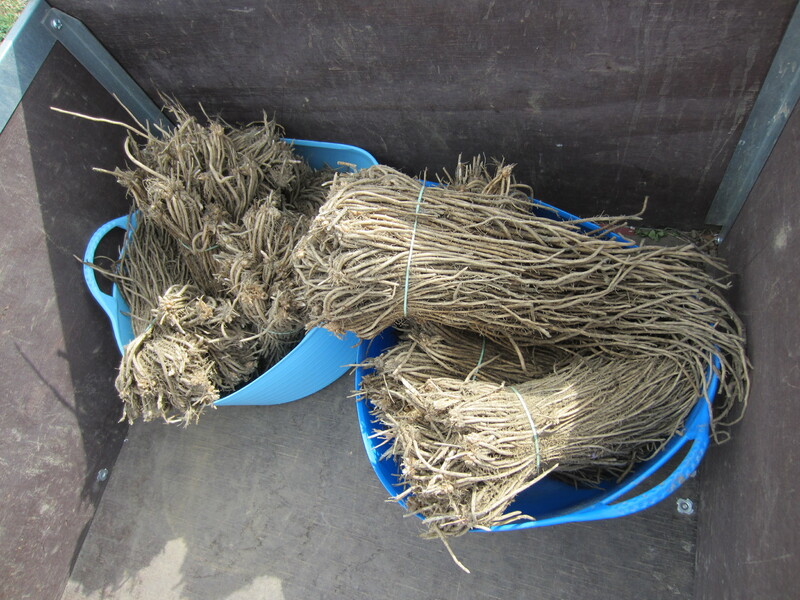 Hopefully over time we will be able to incorporate more cover crops into our rotation so we can produce more of our fertility on-farm and have to rely less on trucked-in compost. Then we won’t need another fancy implement. 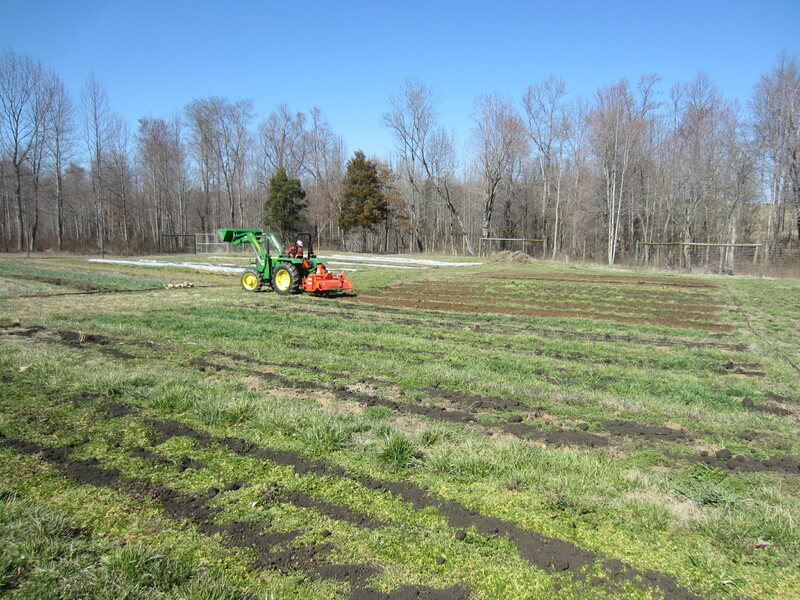 Soon all our fields will be prepared and ready for planting! We have tilled up a lot of new ground this year outside the fence. 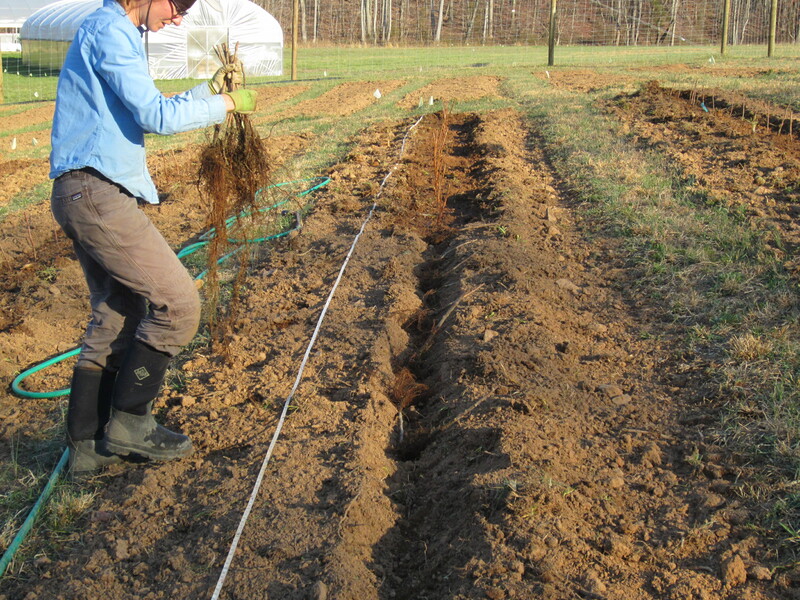 This week most of my time was spent getting 200 raspberries and 900 asparagus plants safely in the ground. Not to mention 4500 onions. Still more to go. Thanks to my sister Megan for her help! Here are some of the asparagus crowns. They are pretty bizarre looking plants. Gavin dug 8″ deep trenches for me to plant them in. 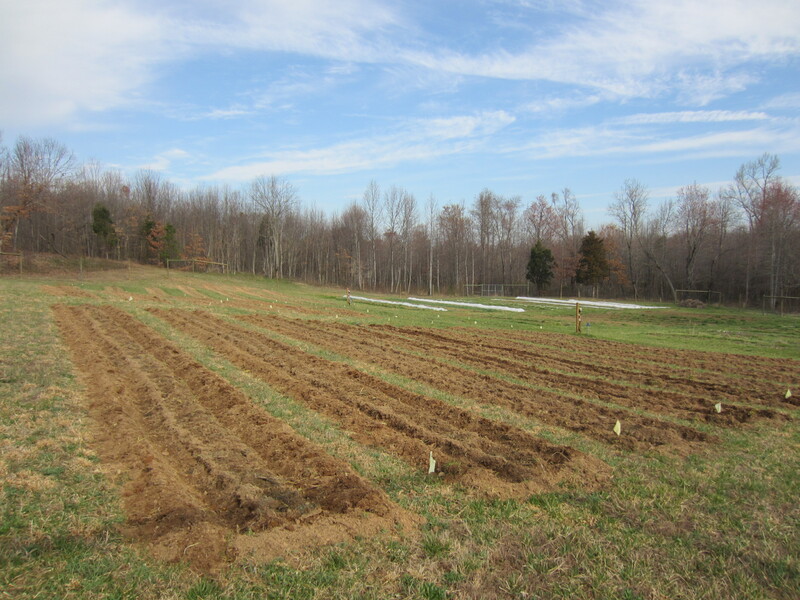 The finished asparagus area has 900 row feet of asparagus plants! It will take several years to come into full production. Keeping it adequately weeded will be the hard part. 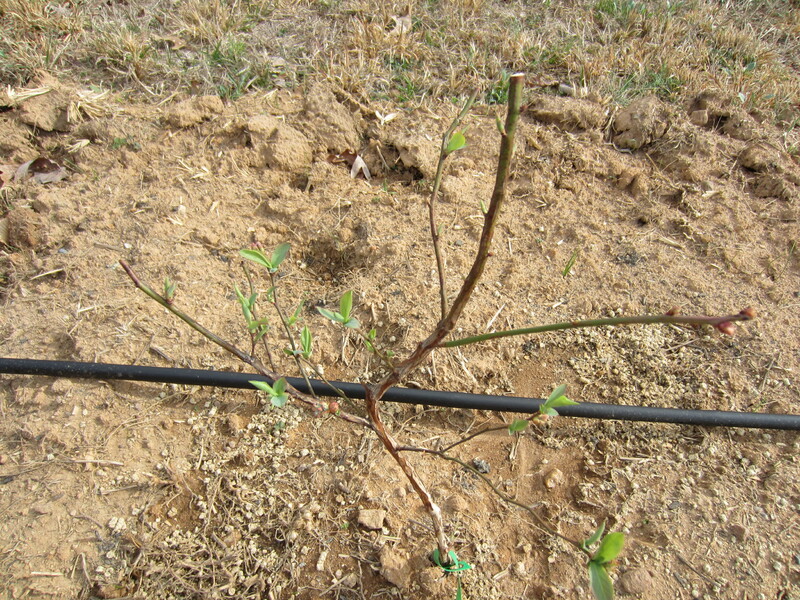 The blueberries have put out their first leaves. 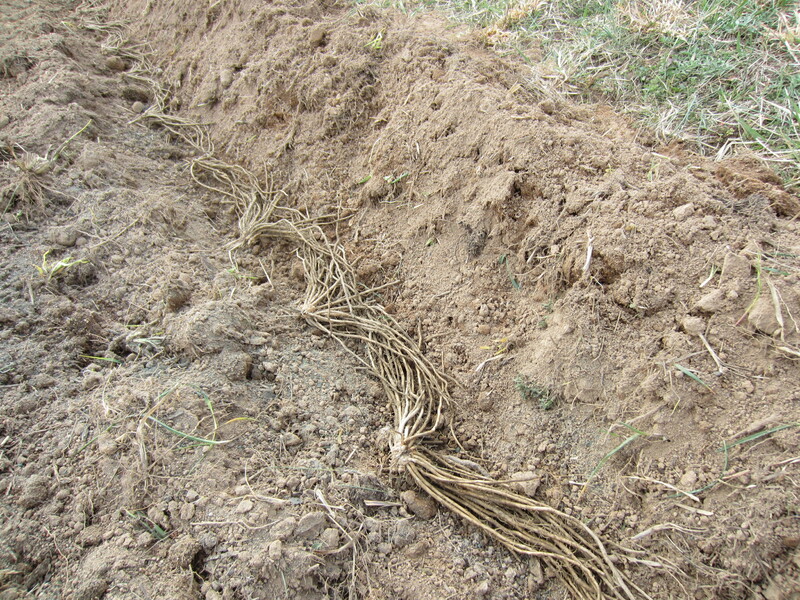 It is a relief to see this when you put bare root plants in the ground that just look like sticks. Gavin is almost done hooking up the irrigation to the blueberry section. Next he’ll add irrigation to the raspberries and asparagus. Then we’ll mulch these areas.